Abstract. We reviewed our experience with 34 patients with metastatic endocrine tumors (METs) who were treated by different modalities. Eight patients were treated by chemotherapy or chemoembolization because of stable disease or surgical contraindications. Seventeen patients underwent curative or cytoreductive surgical resection. Nine patients received grafts based on the following criteria: no extrahepatic spread on imaging workup and nonresectable symptomatic metastatic disease. Of the eight medically treated patients, the five patients with initial stable clinical condition are alive 32 to 56 months after referral. Of the 17 patients treated by liver resection, 13 are alive 6 to 108 months after surgery, and 7 are disease-free. After curative resection, the 5-year actuarial survival and disease-free survival rates were 62% and 52%, respectively. Of the nine grafted patients, three patients grafted for carcinoid tumor are alive at 15, 24, and 62 months, one of whom has a late recurrence. 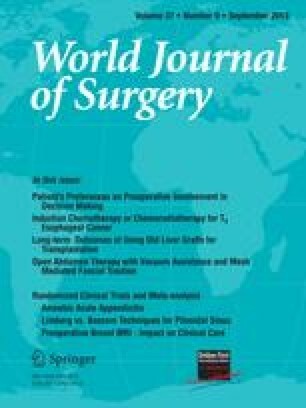 Our results indicate that therapeutic indications for METs should be based on age, clinical symptoms, histologic type, and tumor extension: Patients with stable MET may benefit from surgical restraint; liver resection in patients with aggressive MET may provide good long-term palliation and possibly cure one-third of the patients; liver transplantation should be restricted to young patients with nonresectable carcinoid MET but remains a high-risk operation because of previous surgery and chemoembolization.